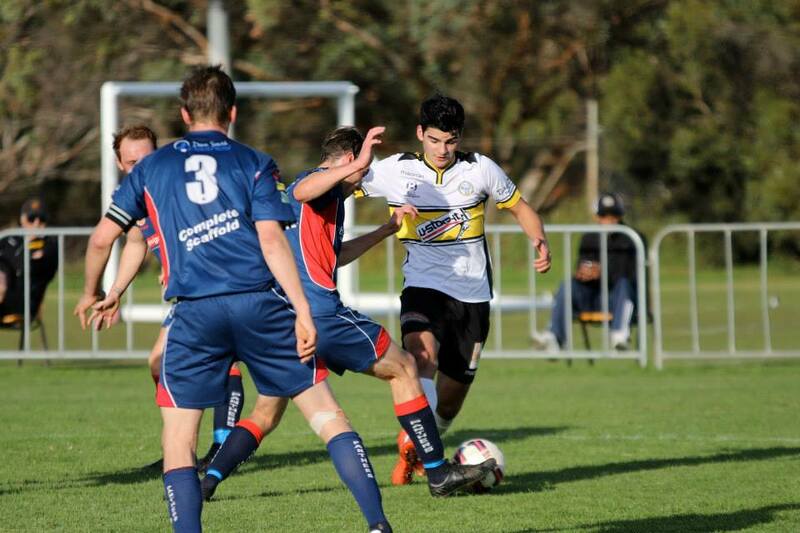 WT Birkalla held league leaders West Adelaide to a nil all draw at Jack Smith Park on Saturday in Round 15 of the PlayStation 4 National Premier League South Australia. It was a game of two halves for both sides, with Birkalla seeing lots of the ball in their attacking third, but lacking that final ball to finish off their chances. Defender Scott Nagel said this was a common occurrence in the Birkalla playing system. “That tends to be something with us, we do dominate play and knock balls around but it’s that last part where we need a quick shot that we tend to struggle. Nagel said it was disappointing to walk away with only the one point, but said there were plenty of positives for the side to take away. “It would have been a great game to win against a top side, but in saying that it was good that they didn’t win and stretch the gap between us even further. Birkalla had a penalty shout waved away after Ryan Kitto went down in the box, which was the only big talking point of a scrappy first half. The afternoon turned sour for the home side with defender John-Paul Cirillo being carted off on a stretcher, after falling heavily going up for a contest with Alex Rideout. Cirillo said he had been given the all clear from the doctor to play in this week’s double header. “I’ve been given the all clear from the doctors, it was just a minor concussion so I’ll be training on Tuesday and hopefully pull up fine for Saturday’s game. 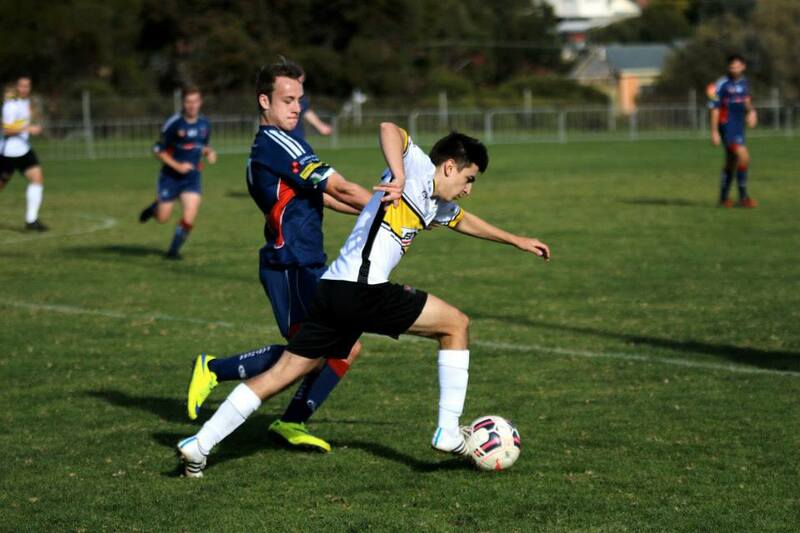 Cirillo’s inclusion will be vital for Birkalla, with a double header against Para Hills and Metrostars. Our one only game to play down South, and it is always a tough slog when we play South Adelaide at home. The game was fought hard by both sides, the first minutes setting the tone of the game showing some solid tackles and long balls, and for South Adelaide they created corner opportunities which eventually allowed South Adelaide to be the first team to score. As the game progressed, our midfield were being pushed to try and close down South…..however, by half time Birkalla were 2 nil down. The Second half Birkalla game out more determined and started creating passages of play, pressing forward and getting balls through to our strikers where finally Jordan Watson managed to get a great cross into Ryan Kitto, and he slotted the ball into the net putting Birkalla back in the game. The second half was definitely exciting and with Jordan Watson and Paul Radice also scoring on the day, the final result was 3 – 3 draw. It was good to come away with a point, however it was a game that could have gone either way. Another good team display gave the Reserves a 5 – 1 win. 4 first half goals ended the contest but there were many missed chances, including 4 ‘posters’, to make the score more of a blow out. Sam Shoemark is pushing hard for a first team recall with another 2 goals as is Daniel Scorsonelli, also with 2 goals who has now scored in the last 4 games from a defensive midfield role. 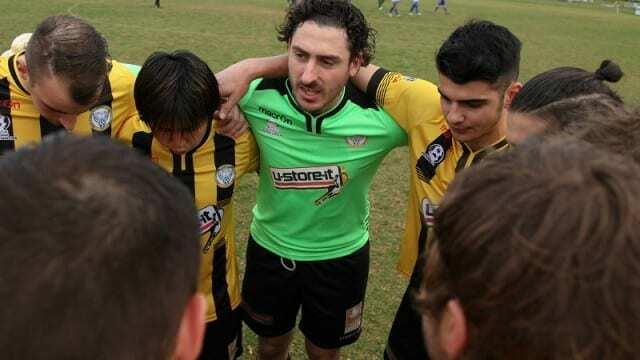 Michael Mangafakis was again in the best players with Peter Karakasilis. The team/squad as a whole have really picked up in the last couple of months and are starting to show some cohesion as a group and the results are a justified reward. A very good win but in the end it was un-necessarily tight. Some good team work ended in 3 well worked goals and the Ressies taking a 3 – 0 lead shortly after half time. However, a second soft 2nd yellow card to Milton Mitsioulis gave South some hope and as a result of the free kick they got one back. Soon it was 3 – 2 and the boys were able to hold onto a deserved win. Sam Shoemark was again on the score sheet as was Daniel Scorsonelli and Michael Magafakis scored his first goal for the club with a well taken volley. Best players were Daniel Scorsonelli, Peter Karakasilis and Anthony Tropiano. A game of two halves. We took one of a few chances in the first half, with Connor Moss adding to his tally, proving he is really developing in to our ideal number 6. We spoke at half time about showing a team too much respect and looked to showing more discipline in our midfield and defence. Second half was dominated by Birks with Luke Uzzell scoring another 5 goals, with Finley Hayhurst assisting two of them. 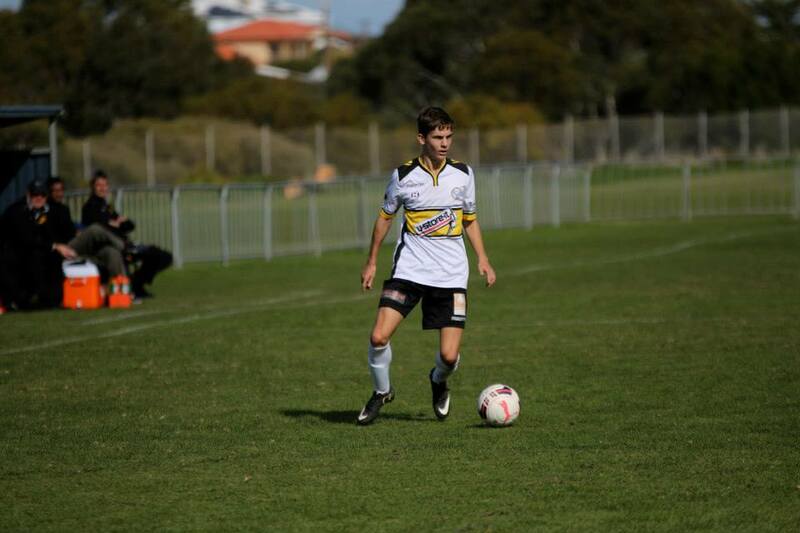 Christian Wsolak was asked to play out of position in the midfield and did extremely well. Ewen McDonald led his team well, leading with a strong defensive performance. Well done boys, you have certainly shrugged the monkey off your backs. Best Players: Luke, Connor and Ewan. The Team were fantastic on Saturday Having Jack Hudson and Finley Hayhurst in the midfield enabled us to move Luke Uzzell up front. The defence were solid and fantastic keeping a clean sheet but overall the team were the winners, playing a good brand of football. We played a little narrow but that did help the players with their confidence, which in turn created the performance. 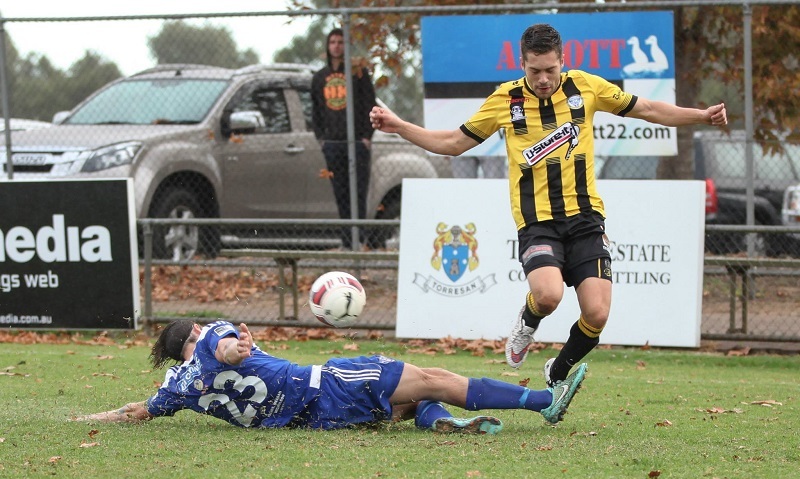 A hat trick to Luke Uzzell and two goals from Finley helped secure the win.